The annual judging events for the Young ICT Explorers (YICTE) national competition kicked off in Brisbane on the weekend with Judging Day held at the University of Queensland. 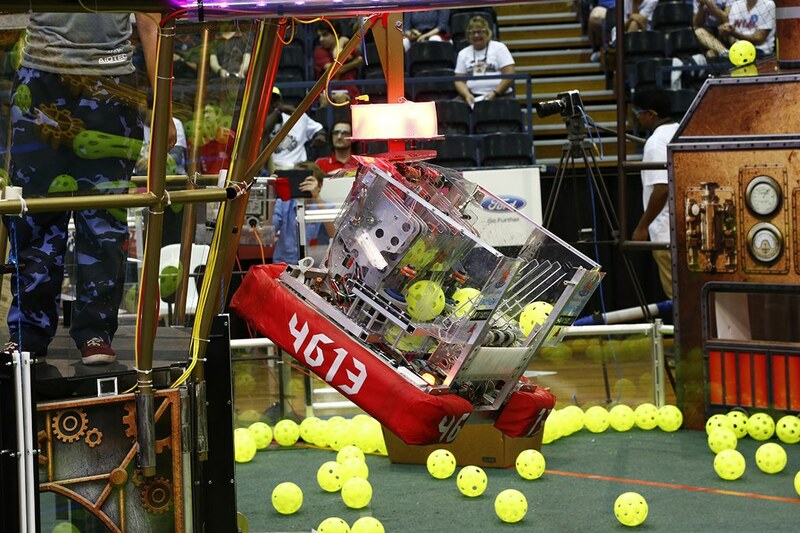 287 students from Y3 to Y12 and from 33 Brisbane schools submitted 112 projects which covered an array of technical disciplines including game development, digital media tools, robotics and electronics. Half of the 40 judges who volunteered their time today came from the AARNet connected Research & Education community. Participating organisations included The Open Data Institute, University of Queensland, Griffith University, CSIRO, Queensland University of Technology, NICTA and AARNet. YICTE is a non-profit competition which has been created to encourage school students to pursue Information and Communication Technology (ICT) related aspirations. Aligned with school curriculums, the competition enables students to apply what they learn in their ICT classroom to develop a technology related project of their choice. At the judging event, students have the opportunity to present their project to the judging panels with each project assessed on a criterion of creativity, uniqueness, quality, level of difficulty and project presentation and documentation. The Tricorder Mini (left) is an example project of considerable sophistication. This is the third generation of a digital ‘swiss army knife’, a hand held device the size of an iPhone 6 with a range of sensors and digital tools elegantly designed and controlled capacitive touch interface. The young engineer Michael designs his own circuit boards and outsources their production, and completes the packaging designing and fabricating the case using 3D printing. Other terrific projects included the ‘Smart Hat’ (left) for the visually impaired that provides an audible warning if the wearer comes within a programmable distance of an object. This is a great example of an inventive project and a credit to this team of young innovators in the developing of a solution to address a real world problem. In the Year 3-4 category students from the Good News Lutheran Primary School, an AARNet-connected LEANet school, had multiple entries. Year 4 Students Jocelyn and Sarah (left) each developed games using the TinyTap gaming environment. So technically accomplished in this environment were the girls they confidently built a simple game for me whilst I was talking with them. Using Makey Makey electronics and the Scratch programming language, future engineers Summer and Brianna (left) built a device that provided assistive feedback in making good food choices, and went on to be a prizewinner for the day. Great work girls! Other projects that were clever and quite frankly just plain fun from Y5-6 students also from Good News Lutheran School included ‘Bling the Tardis’ (left) which was constructed completely from recyclable materials and to which the team added a range of Arduino driven interactive features such as lighting and messaging. A team of young female engineers designed ‘Tap that Mat’ (left) a dance mat game designed for 1 to 2 players that respond to the colored lights that flash up on the screen and then tap the corresponding color on the game mat to play the music. Overall, a tremendous day with loads of volunteers all helping out and inspiring 237 young inventors and engineers to pursue their ICT aspirations. We congratulate SAP in providing leadership in the success and growth of this program that brings a deserved platform to identify the creativity and resourcefulness of so many school students. AARNet is proud to be associated with this event and contributing to the Judging days in Brisbane, Sydney, Melbourne, Canberra and Hobart. A schedule of all competition dates is available HERE. All are welcome.